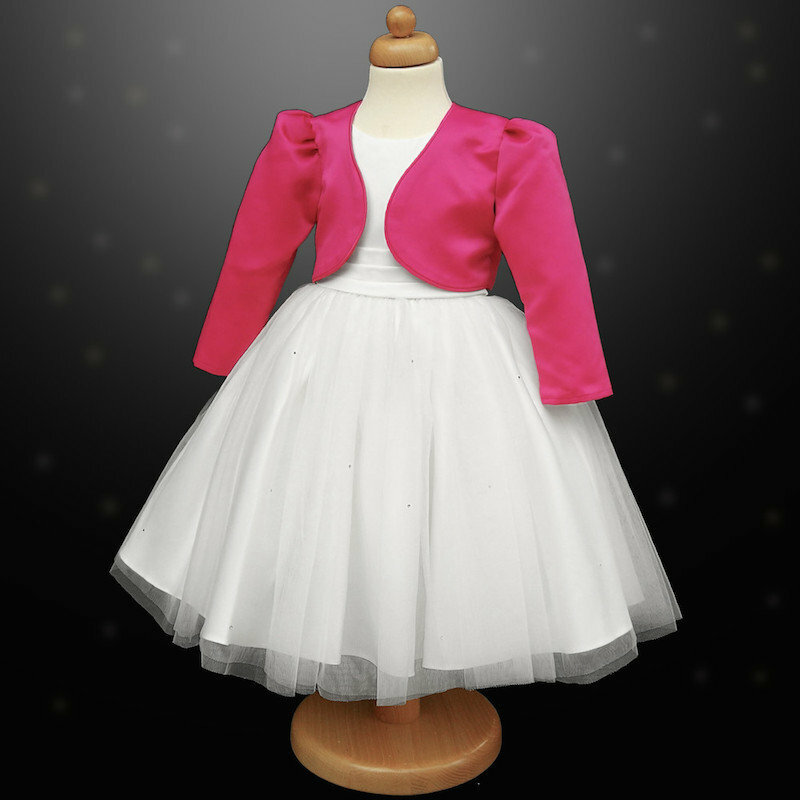 Girls white diamante organza dress with cerise pink bolero jacket, perfect wedding wear for a flower girl or young bridesmaid. Dress: White sleeveless dress with a triple layered white fitted sash to the waist. The sash ties beautifully into a large bow at the back, with a discreet zip fastening. The skirt of the dress has a top layer of organza with small sparkly diamantes on the front, satin underlining which has a tulle under layer to create fullness. Bolero: Cerise pink long sleeved fully lined bolero jacket. Designed in England by Visara. Outstanding high quality and made to the highest standards. A simple yet elegant dress & bolero jacket to make her feel really special.